Israel has changed. The country was born in Europe's shadow, haunted by the Holocaust and inspired by the Enlightenment. But for Israelis today, Europe is hardly relevant, and the country's ties to the broader West, even to America, are fraying. Where is Israel heading? How do citizens of an increasingly diverse nation see themselves globally and historically? 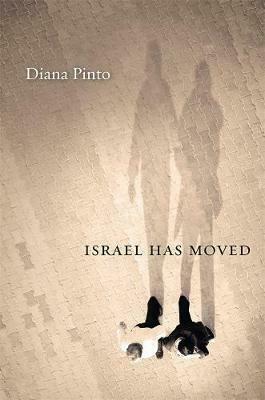 In this revealing portrait of the new Israel, Diana Pinto presents a country simultaneously moving forward and backward, looking outward and turning in on itself. In business, Israel is forging new links with the giants of Asia, and its booming science and technology sectors are helping define the future for the entire world. But in politics and religion, Israelis are increasingly self-absorbed, building literal and metaphorical walls against hostile neighbors and turning to ancient religious precepts for guidance here and now. Pinto captures the new moods and mindsets, the anxieties and hopes of Israelis today in sharply drawn sketches of symbolically charged settings. She takes us on the roads to Jerusalem, to border control at Ben Gurion Airport, to a major Israeli conference in Jerusalem, to a hill overlooking the Dome of the Rock and Temple Mount, to the heart of Israel's high-tech economy, and to sparkling new malls and restaurants where people of different identities share nothing more than a desire to ignore one another. Vivid and passionate but underpinned by deep analysis, this is a profound and sometimes unsettling account of a country that is no longer where we might think.